William J. Welch received a B.S. in Physics from Stanford University in 1955, and the M.S. and Ph.D. degrees in Engineering Sciences from the University of California, Berkeley, in 1958 and 1960, respectively. He joined the faculty of the Electrical Engineering and Computer Sciences Department in 1960, and in 1971 became a faculty member of the Astronomy Department. 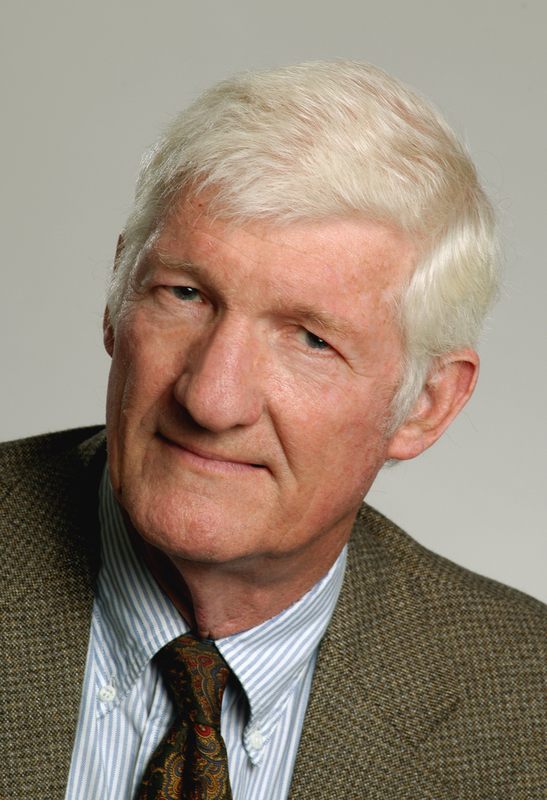 Prof. Welch retired as Professor Emeritus in 2005 and is currently a Professor in the Graduate School. His specialty area is radio astronomy, with research focusing specifically upon the formation of stars, dark dust clouds, the Michelson interferometer array, and the Allen telescope array. 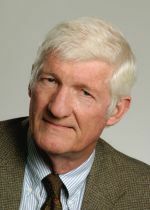 Considered one of the founders of molecular radio astronomy, Prof. Welch is the author or co-author of over 100 journal articles and conference papers. Elected to the National Academy of Sciences in 1999, his citation reads: "He started the field of millimeter-wave interferometry and remains one of its most active practitioners. His discoveries in star formation include the first hot cores associated with massive protostars and their subsequent evolution into ultracompact HII regions." Prof. Welch was the director of the Radio Astronomy Lab at U.C. Berkeley from 1971-1996, and continues to participate in both the CARMA (Combined Array for Research in Millimeter-wave Astronomy) Project and the Allen Telescope Array Project, which is being conducted jointly with the SETI Institute. From 1998-2005, he held the Watson and Marilyn Alberts Chair in the Search for Extraterrestrial Intelligence, and is a member of the SETI Institute Board of Trustees. Prof. Welch is a Fellow of the American Academy for the Advancement of Science; a member of the American Astronomical Society; a member of URSI, Commission V; and a member of the International Astronomical Union. He received a Docteur Honoris Causa from the Université de Bordeaux I in 1979. In 1996, he was a recipient of the Berkeley Citation in acknowledgment of his significant contributions to the field of radio astronomy and his distinguished service to the campus. D. Fong, M. Meixner, E. C. Sutton, A. Zalucha, and W. J. Welch, "Evolution of the circumstellar molecular envelope. I. A BIMA CO survey of evolved stars," The Astrophysical J., vol. 652, no. 2, pt. 1, pp. 1626-1653, Dec. 2006. N. H. Volgenau, L. G. Mundy, L. W. Looney, and W. J. Welch, "Dense cores with multiple protostars: The velocity fields of L1448 IRS 3, NGC 1333 IRAS 2, and NGC 1333 IRAS 4," The Astrophysical J., vol. 651, no. 1, pt. 1, pp. 301-320, Nov. 2006. H. Chen, W. J. Welch, D. J. Wilner, and E. C. Sutton, "A high-mass protobinary system in the hot core W3(H2O)," The Astrophysical J., vol. 639, no. 2, pt. 1, pp. 975-990, March 2006. J. J. Swift, W. J. Welch, J. Di Francesco, and I. Stojimirovic, "A pre-protostellar core in L1551. II. State of dynamical and chemical evolution," The Astrophysical J., vol. 637, no. 1, pt. 1, pp. 392-399, Jan. 2006. M. Cohen, D. F. Carbon, W. J. Welch, T. Lim, B. Schulz, A. D. McMurry, J. R. Forster, and D. Goorvitch, "Far-infrared and millimeter continuum studies of K giants: alpha Bootis and alpha Tauri," The Astronomical J., vol. 129, no. 6, pp. 2836-2848, June 2005. J. J. Swift, W. J. Welch, and J. Di Francesco, "A pre-protostellar core in L1551," The Astrophysical J., vol. 620, no. 2, pt. 1, pp. 823-834, Feb. 2005. J. Gibson, W. J. Welch, and I. de Pater, "Accurate Jovian radio flux density measurements show ammonia to be subsaturated in the upper troposphere," Icarus, vol. 173, no. 2, pp. 439-446, Feb. 2005. D. R. DeBoer, W. J. Welch, J. Dreher, J. Tarter, L. Blitz, M. Davis, M. Fleming, D. Bock, G. Bower, J. Lugten, G. Girmay-Keleta, L. R. D'Addario, G. R. Harp, R. Ackermann, S. Weinreb, G. Engargiiola, D. Thornton, and N. Wadefalk, "The Allen Telescope Array," in Proc. SPIE: Ground Based Telescopes, J. M. Oschmann, Jr., Ed., Vol. 5489, Bellingham, WA: SPIE, 2004, pp. 1021-1028. N. H. Volgenau, L. G. Mundy, L. W. Looney, and W. J. Welch, "Evidence for the turbulent formation of stars," in AIP Conf. Proc. : The Search for Other Worlds. 14th Astrophysics Conf., Vol. 713, Melville, NY: American Institute of Physics, 2004, pp. 59-62. L. W. Looney, L. G. Mundy, and W. J. Welch, "Envelope emission in young stellar systems: A subarcsecond survey of circumstellar structure," The Astrophysical J., vol. 592, no. 1, pt. 1, pp. 255-265, July 2003. J. Di Francesco, M. R. Hogerheijde, W. J. Welch, and E. A. Bergin, "Abundances of molecular species in Barnard 68," The Astronomical J., vol. 124, no. 5, pp. 2749-2755, Nov. 2002. A. L. Rudolph, R. Bachiller, N. Q. Rieu, D. V. Trung, P. Palmer, and W. J. Welch, "A molecular line study of the HH 7-11 outflow," The Astrophysical J., vol. 558, no. 1, pt. 1, pp. 204-215, Sep. 2001. D. J. Wilner, C. G. De Pree, W. J. Welch, and W. M. Goss, "Hot cores in W49N and the timescale for hot core evolution," The Astrophysical J., vol. 550, no. 1, pt. 2, pp. L81-L85, March 2001. J. J. Swift, W. J. Welch, and B. L. Frye, "Spatially resolved millimeter spectroscopy of the gravitational lens PKS 1830-211," The Astrophysical J., vol. 549, no. 1, pt. 2, pp. L29-L32, March 2001. L. G. Mundy, L. W. Looney, and W. J. Welch, "The structure and evolution of envelopes and disks in young stellar systems," in Protostars and Planets IV, V. Mannings, A. P. Boss, and S. S. Russell, Eds., University of Arizona Space Science Series, Tucson, AZ: University of Arizona Press, 2000, pp. 355-376. L. W. Looney, L. G. Mundy, and W. J. Welch, "Unveiling the circumstellar envelope and disk: A subarcsecond survey of circumstellar structures," The Astrophysical J., vol. 529, no. 1, pt. 1, pp. 477-498, Jan. 2000. W. J. Welch, D. D. Thornton, R. L. Plambeck, M. C. H. Wright, J. Lugten, L. Urry, M. Fleming, W. Hoffman, J. Hudson, W. T. Lum, J. R. Forster, N. Thatte, X. Zhang, S. Zivanovic, L. Snyder, R. Crutchere, K. Y. Lo, B. Wakker, M. Stupar, R. Sault, Y. Miao, R. Rao, K. Wan, H. R. Dickel, L. Blitz, S. N. Vogel, L. Mundy, W. Erickson, P. J. Teuben, J. Morgan, T. Helfer, L. Looney, E. De Gues, A. Grossman, J. E. Howe, M. Pound, and M. Regan, "The Berkeley-Illinois-Maryland-Association millimeter array," Publications of the Astronomical Society of the Pacific, vol. 108, no. 719, pp. 93-103, Jan. 1996. M. C. H. Wright, R. L. Plambeck, S. N. Vogel, P. T. P. Ho, and W. J. Welch, "Source of the high-velocity molecular flow in Orion," The Astrophysical J., vol. 267, no. 1, pt. 2, pp. L41-L45, April 1983. R. L. Plambeck, M. C. H. Wright, W. J. Welch, J. H. Bieging, B. Baud, P. T. P. Ho, and S. N. Vogel, "Kinematics of Orion-KL: Aperture synthesis maps of 86 GHz SO emission," The Astrophysical J., vol. 259, no. 2, pt. 1, pp. 617-624, Aug. 1982. D. M. Rank, C. H. Townes, and W. J. Welch, "Interstellar molecules and dense clouds," Science, vol. 174, no. 4014, pp. 1083-1101, Dec. 1971.